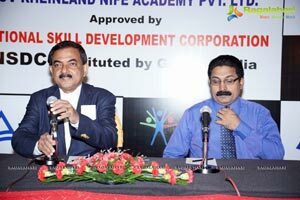 TUV RHEINLAND NIFE ACADEMY is the pioneer in India in the area of Fire safety courses. 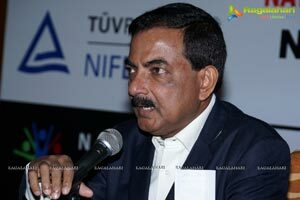 Started up in 1992, TUV RHEINLNAD NIFE with around 23 years of teaching experience in Fire safety is today the absolute brand leader all over India in providing Fire safety education. TUV Rehinland NIFE has today 90 centers spanning the states like West Bengal, UP, Punjab, Bihar, Maharashtra, Andhra Pradesh, Karnataka, Tamil Nadu and Kerala. 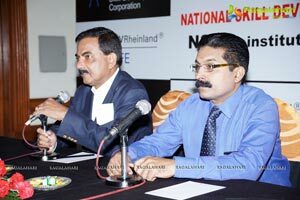 TUV RHEINLAND NIFE ACADEMY Pvt ltd. is part of TUV Rheinland Group from Germany. TUV Rheinland group is a 142 years old global entity operating in 65 countries across the world and employing around 18000 people. It is perceived as a market leader in such services like testing auditing classification consultancy of various products services, industries and projects across the world. 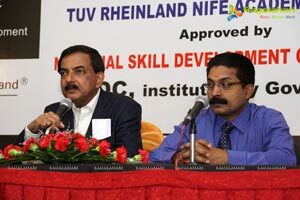 TUV Rheinland NIFE Academy Pvt Ltd is a fully owned concern of TUV Rheinland Germany, set up in India to propel the cause of providing vocational training. In the past 23 years TUV RHEINLAND NIFE has trained over a lakh of students in such courses like Fire safety, Lift Technology, Fiber optics and Inventory and Stores. Thousands of its past students are currently working in India and abroad. 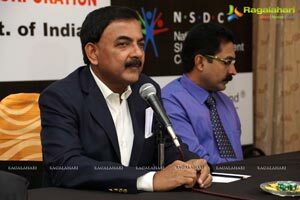 In India major establishments like Mumbai International airport, Delhi international airport, Hyderabad international airport, Gammon India, L&T, SPCL, ONGC, Shoba Developers, Puravankara, IVRCL have all employed hundreds of its students as safety officers. Abroad especially in the gulf countries such prestigious organizations like Abudhabi International Airport, Dubai International Airport, Damam Port, KEMCO Qatar, ARAMCO Saudi, Al Tayer Strocks, Wellgate scuff holding Trading, Bahrain Shipyard, QAFCO, General Construction Co. Abudhbai have employed thousands of its past students. TUV Rheinland NIFE has a staff strength of around 500 people mostly comprising of highly experienced faculties. Classes are conducted with the best of faculties, teaching materials, text books and practical facilities possible in India. 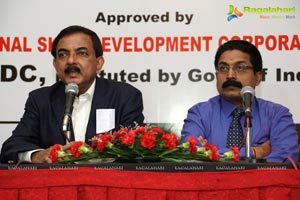 For practical facility it has a one acre wide premise in cochin where every equipment. required in Safety and fire protect ion is installed so that students can get hands on experience. Elaborate hostel facility is provided to accommodate as much as around 400 students at a time. In the arena of skill development TUV Rhenland NIFE today is playing a pivotal role by shaping up young people in technical courses all over India. Skill development courses launched by TUV Rheinland NIFE like Fire Safety, Lift Technology, Fiber Optics, Inventory and Stores is today run in Telangana and Andhra Pradesh at its centers located at Mehdipatnam, Secunderabad, Dilshukhnagar, Vishakapatanam, Vijayawada, Guntur and Kakinada. They have hundreds of students undergoing training at these centers. Their students are also working in the Safety departments of prestigious organizations like IVRCL, COROMANDEL, SPCL, CCCL, BE Blllimoria, L&T, Gammon India, GMR, RAMKY INFRA & BL KASHYAP etc. 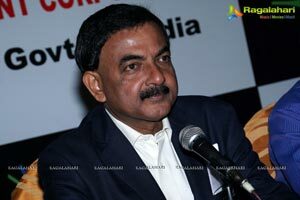 The government of India is now laying huge emphasis for Skill development. 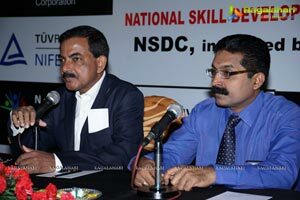 National skill Development Corporation has been set up by the government of India to foster the cause of skill development all over India. 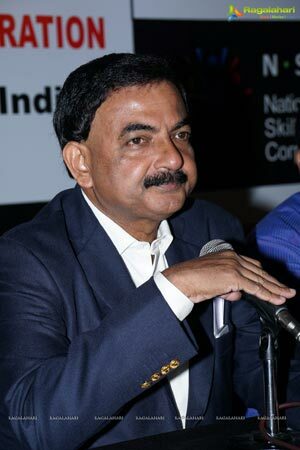 For the fast developing economy in India, Government feels that skill development would have to be one of the main areas of National initiative. 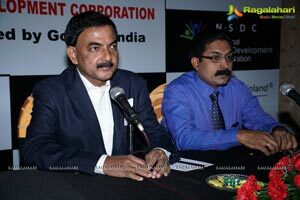 NSDC has been set up by the Government of India as an apex body to achieve this. 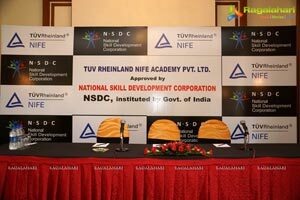 TUV Rheinlabnd NIFE has now obtained approval from NSDC for their Skill oriented courses like Fire Safety, Lift Technology, Fiber optics and Inventory and store. With The NSDC approval TUV Rheinland NIFE students now become eligible for bank loan, easy attestation at Embassies and also for better placements all over India.